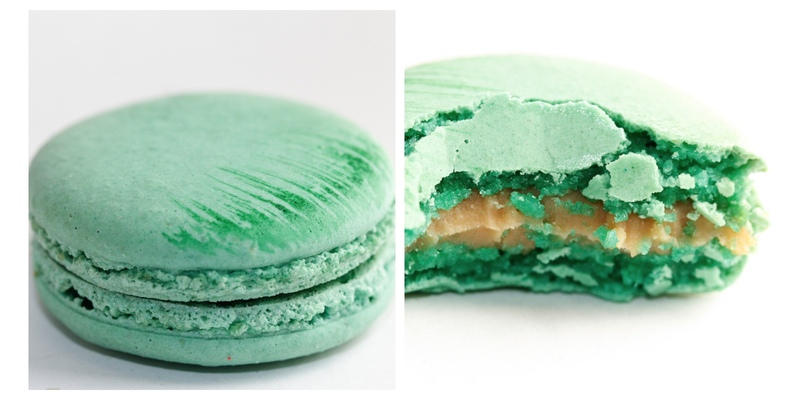 I will preface this review by saying that I had really high expectations for ‘lette macarons. I mean really… high… expectations. With a four star rating on yelp and a few recommendations from friends, I was ready for ‘lette macarons to blow my mind. Unfortunately, I was let down. Badly. My sweet little sister (featured in my photo guide) bought me a dozen of their most popular flavors from the Pasadena store. After trying the 12 cookies, all I can say is that I am disappointed. 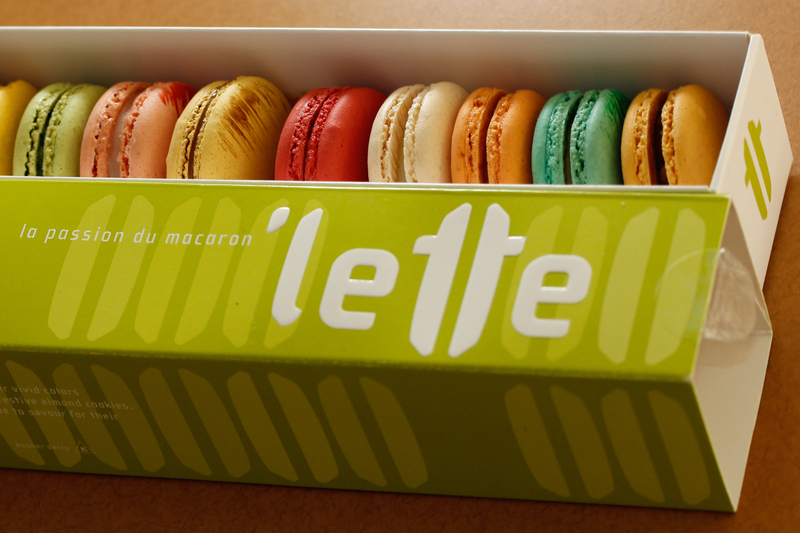 While ‘lette offers a step up in quality of texture from Merely Sweets, I find ‘lette macarons boring and uncreative. I say this not as an insult to the quite interesting flavor lineup and use of flavor combinations but to their repetitive use of a white chocolate based filling. The shells of these cookies were not disappointing. But they definitely weren’t the best I’ve had. As you can see, they are smooth and pretty and that definitely holds to be true for the entire lineup but ‘lette. When biting into the smooth outer shell of they give a gentle but still oddly satisfying resistance, not quite a crunch — spot on. 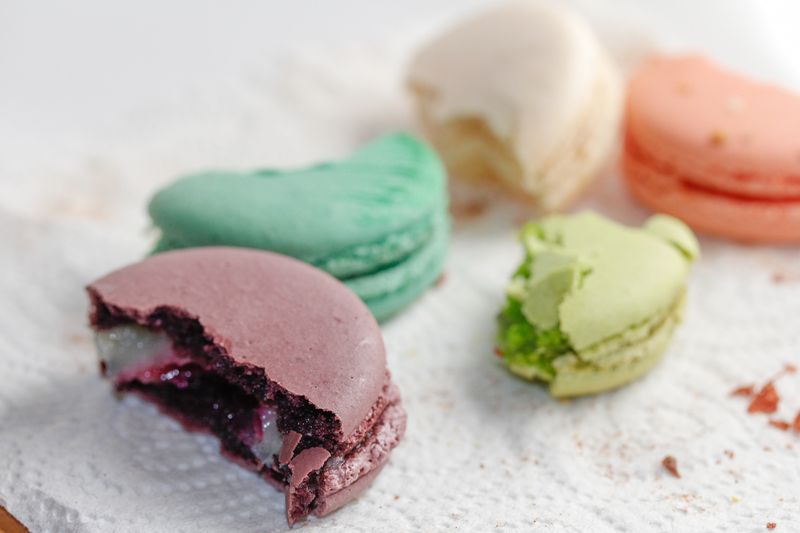 After chewing on them, the macaron shells seem to be a bit dry. Although they weren’t crunchy, they weren’t as moist or chewy as I had expected. I didn’t necessarily find it disturbing but rather interesting and unique to ‘lette. 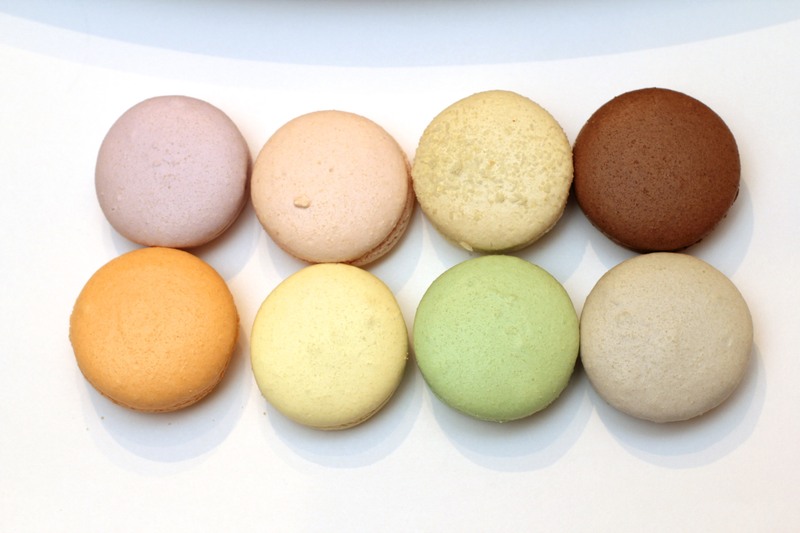 Out of the dozen macarons that our kitchen taste tested, 9 of ‘lette’s macarons utilize a cream that is based on white chocolate and then thickened and emulsified by soy lecithin. Because of this, I found their macarons to be repetitive in flavor and and texture. Although I will admit that I am definitely a buttercream kind of guy, and I appreciated the first few macaron fillings that I tested, I started to think that the bakers were too lazy to come up with something innovative. I found these macarons to be a step up from the overly salty goo that was in Merely Sweets’ macarons. I found the salt just satisfying enough for me to want another bite. Although it is a thick caramel-like sauce and not a buttercream, the salt level made the buttery hints in the macaron tasted like they used artificial flavorings. Also, the use of corn syrup in their filling was obvious and in-your-face. The additive made the filling almost gummy and clearly artificial. Recently I’ve grown quite accustomed to rose flavored sweets, I attribute this to a good friend of mine who is slightly obsessed with macarons. Normally it is easy to overpower sweets since rose is such a pungent note. I bit into this macaron, ready for the mesmerizing floral pallet to hit me but unfortunately it was barely present. The flavor of almond dominated my taste buds while I continued to stuggle finding notes of rose in the filling. Flavor aside, I found the filling’s texture to be confusing as it was slightly chewy which further distracted the already-subtle rose flavor. This was a standard chocolate macaron. The shells were prettily decorated with the cocoa nibs on top which added in texture and originally. The flavors were not dark nor bittersweet. It bordered between semi-sweet and milk which is a interesting juxtaposition against the popular dark chocolate flavored macaron. 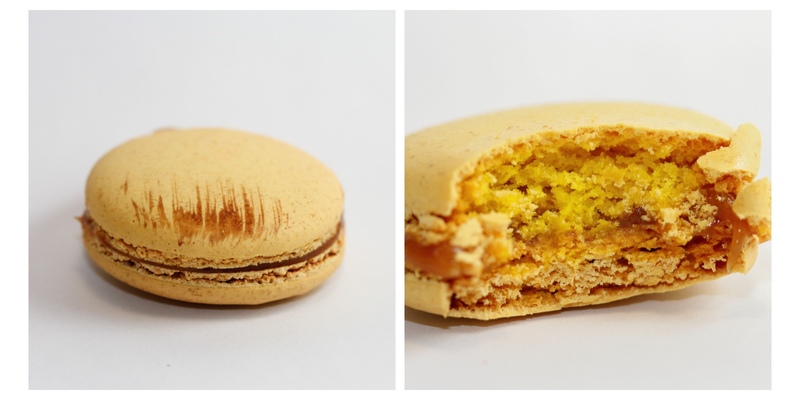 Given that I was having a lemon phase during this review, I was disappointed by the macaron’s pasty texture. The high fruity lemon notes were not present but the sour taste definitely cut through the sweet shells.That said, I was confused by the macaron because of the uncommon thick filling that made the filling taste clearly artificial. The vanilla macaron was light to taste and not very fragrant. I had personally been excited to try this macaron given my obsession over Merely Sweets’ vanilla macaron. The overall macaron was light and welcomed but the filling was barely fragrant and the vanilla did not come through clearly. In my test batch, this macaron was the most chewy. The interesting texture was complimented by a bold pistachio undertone and flavor profile. I personally enjoyed the interesting contrast, like I was eating a chewy pistachio. 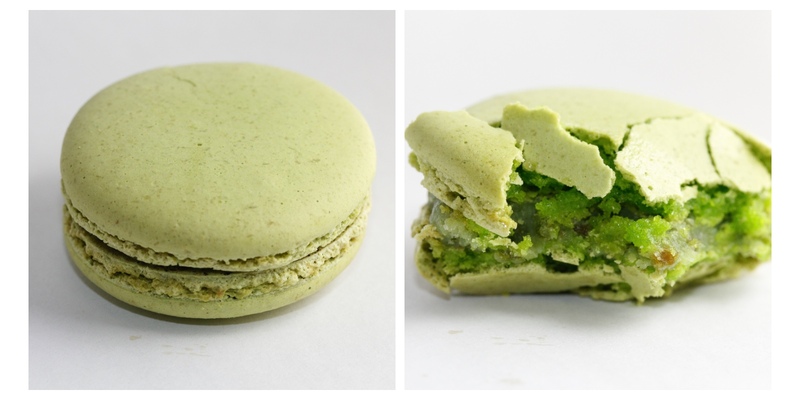 What especially helped this macaron was the use of pistachios instead of the common pistachio paste which really helped the earthy tones come through. 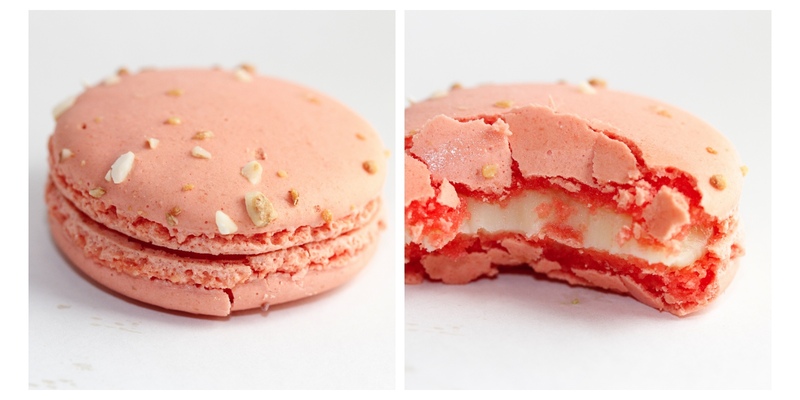 For all of you who have tried the asian almond milk tea, this is exactly what the macaron tasted like. If you haven’t tried the sweet milk, go try it. 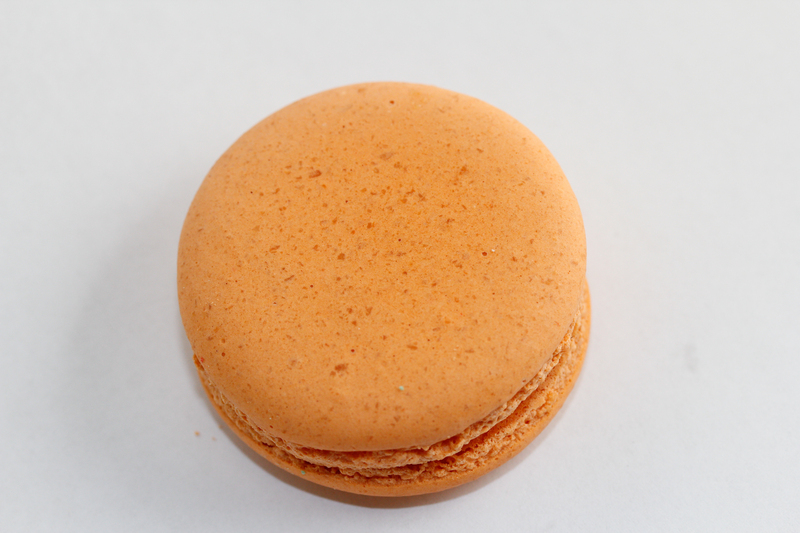 The distinctive processed almond profile stands out in many baked goods and this macaron seemed to attest to that. Although I found many of ‘lette’s macarons to taste like almonds, I found this particular macaron to lack the nuttier flavors but rather possess a brighter floral almond note. Again, I had expectations for a boldly flavored Earl Grey tea. The initial flavor profile was light and flora, unlike Earl Grey but after a few bites the tea flavor started settling in. Perhaps what was the most interesting to me was the aftertaste. For whatever reason, the light and floral tones slowly translate into a true Earl Grey and if I didn’t know any better I’d say that it shared the exact same after taste as if I just took a sip of the tea. 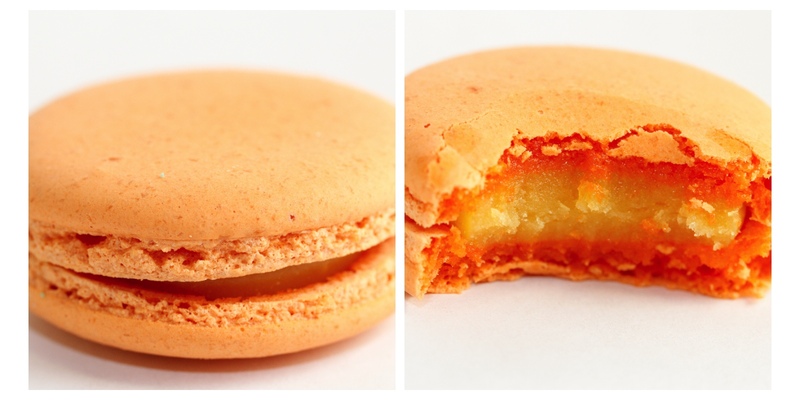 That said, this macaron was the most gummy out of all of them in my test batch. I was excited for this macaron because I had never had violet before but I’ve heard a few things about it before. Paired with the violet filling is a black currant jam. I found the combination of sweet and sour to be extremely favorable and I enjoyed this macaraon. Knowing that there is a violet component, however, I was upset that, like the rose, the flavors were too light to be noticed and were overpowered by the fruit. 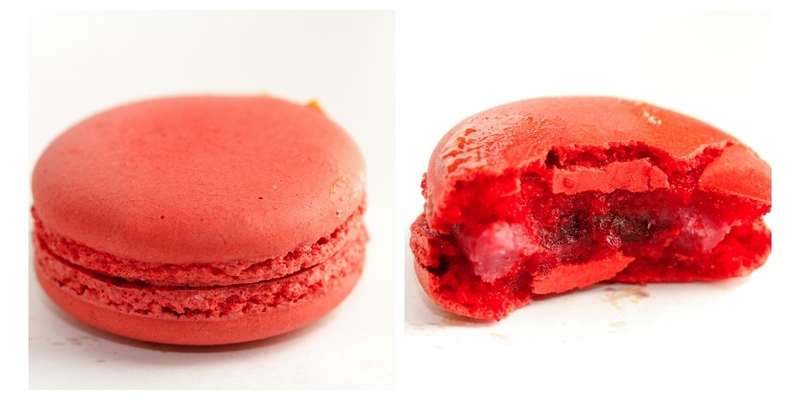 Seeing the familiar white “ganache” that ‘lette is fond of, I was ready for another artificially flavored fruit filling, I was, however, pleasantly surprised by the delicious fruit filling in the macaron. Unfortunately, the sweet filling did detract from the overall flavor. I personally thought that they were paying homage to traditional white chocolate ganache but this “ganache” was more gummy than chocolate. This macaron was in many ways oddly reminiscent of the lemon macaron. The filling was made of the same thick white ganache that was chewy and gummy. 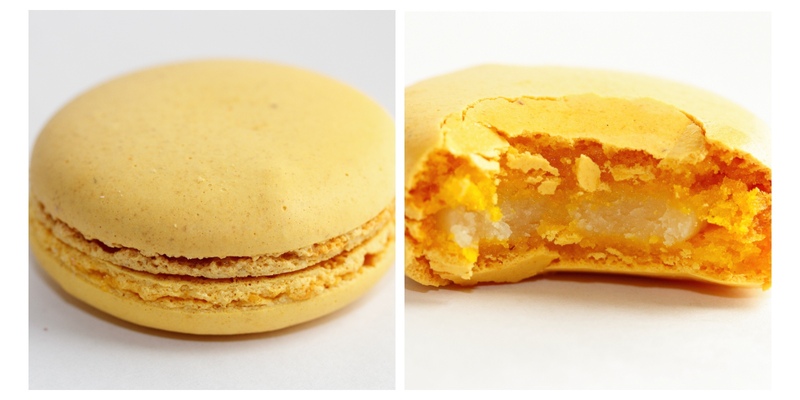 The flavor of this macaron, however, was less favorable compared to its lemon counterpart. The fruity flavor was uncomfortably tart and the notes of passion fruits were not strong. 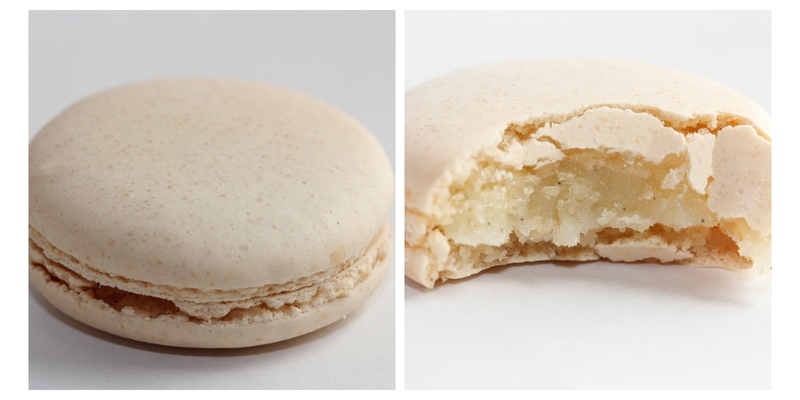 This last macaron wasn’t on ‘lette’s website but after some digging, my best guest was the hazelnut flavored macaron. There was definitely a nut in the middle of the macaron but the gelatinous filling confused me. There was no taste of chocolate and it was purely sweet and nutty. Issues with marketing aside, I think that my lack of ability to deffrientiate an unknown flavor goes to show the extent of how light each flavor was. That aside, my notes consistently include notes on a gummy, artificial filling. 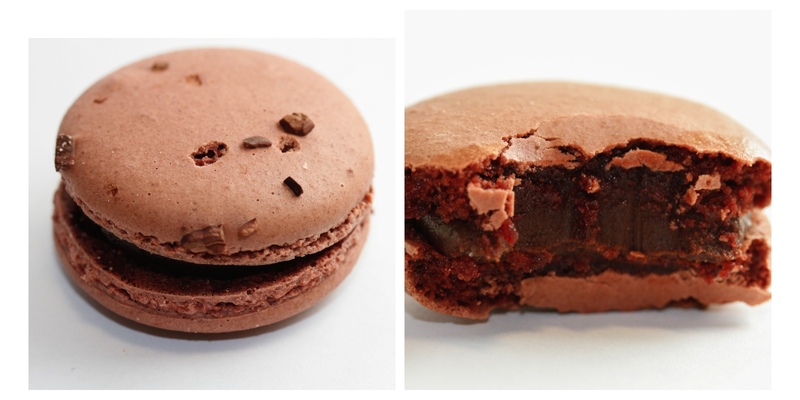 Aside from the “confused” hazelnut macaron, chocolate, and caramel every other filling was the same with flavorings. This is something that I cannot overlook. 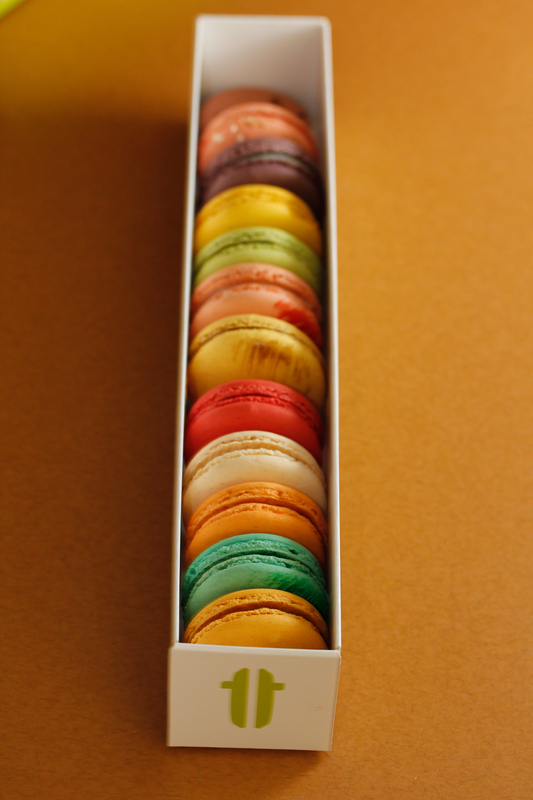 Although I enjoyed the innovative designs of the Caribbean chocolate and the impressive flavorings in the violet cassis, I cannot say that I would recommend ‘lette for someone who is looking for an authentic macaron. As my methodologies in baking and the culinary arts are considered conservative, and I take after the traditional Laudree, I find Pierre Herme’s flavoring profiles to be my comfort zone. 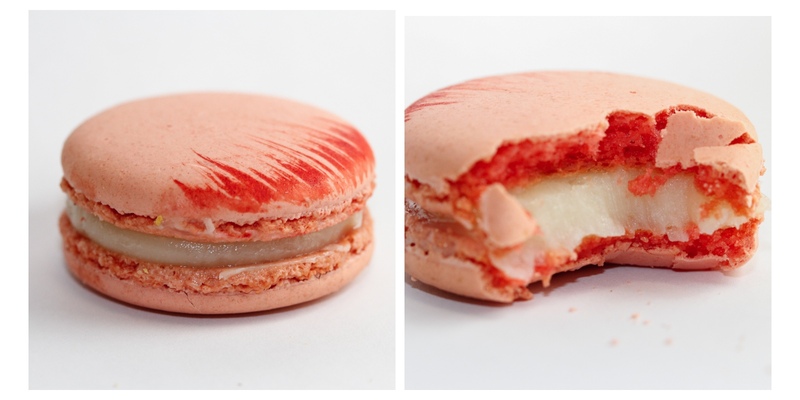 I would encourage those who have tried macarons in the past to give ‘lette a chance. Although I personally am not a fan of the flavorings, other people might be and I respect that. That said, I must continue in my search for my “favorite macaron shop” for now. And again, you rock lil sis! I don’t typically review restaurants, bakeries, purchases, or pretty much anything. I’ve always believed that each person will have their own opinions, especially when it comes to food. Today, however, I write this entry as a changed man. I still remember my mixed emotions when I found out that I was going to be visiting a bakery that sold macarons. On one hand, I was filled with anticipation of purchasing my first macaron. On the other, I was afraid of ruining my self-esteem, especially when it comes to making macarons. And while these emotions followed me through the doors of Merely Sweets, a small bakery located in Brea, California, I wondered why I was hyped up over a dessert that I’ve made countless times. 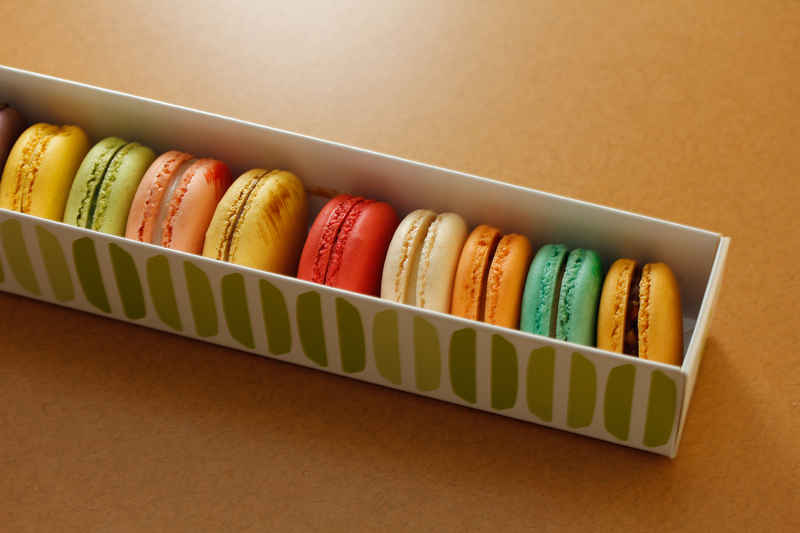 One cannot be a true macaron connoisseur without having heard the brands Laudreé or Pierre Hermé. 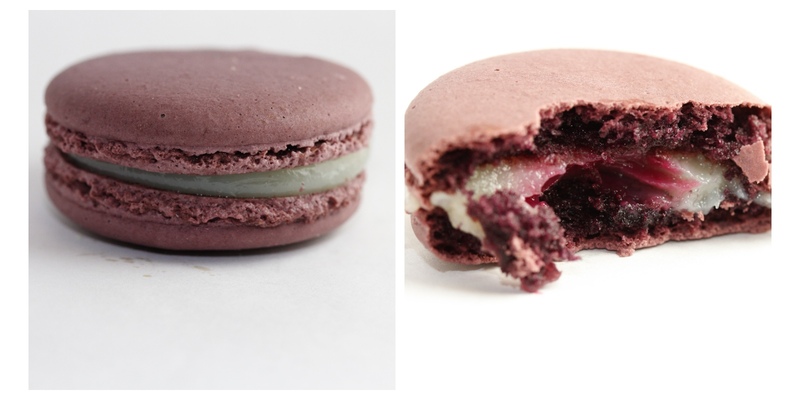 Both highly regarded bakeries for the macaron, they have different approaches both in methodology and ideology. 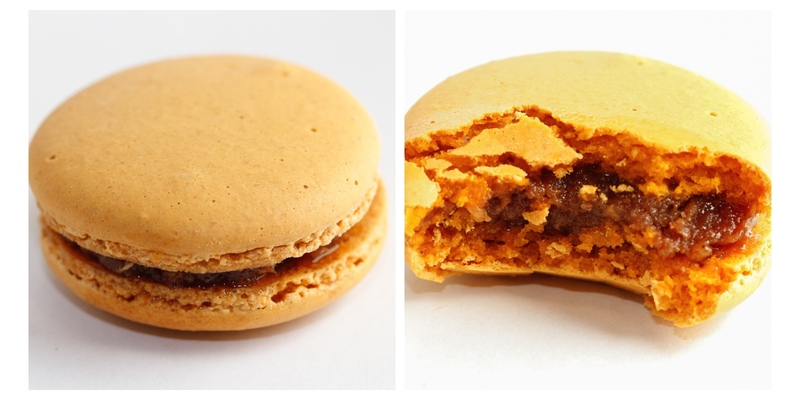 There is a lot of discussion between who’s macaron reigns supreme. I decided to take on the ultimate challenge of reproducing both recipes in my own kitchen and deciding for myself. 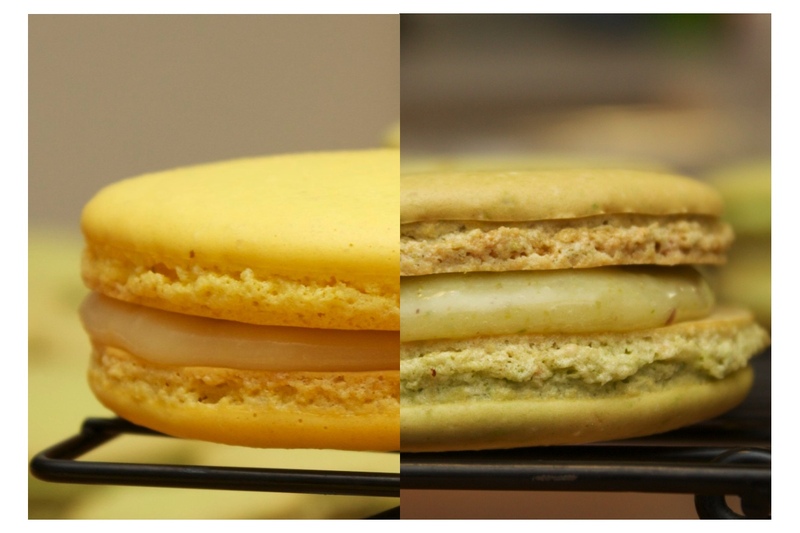 Understanding that I won’t be able to produce the exact same results, I’ve decided that today I will be focusing on the shell of the macaron and developing my stance on the “Pierre Hermé vs Laudreé” issue based off of their unique techniques.